You hold an ice cream cone in front of a child’s face, and it creates a party in the brain. The child’s brain activity goes wild and sees nothing to the left or right, only seeing what’s in front of him/her. What some may not know is with a child with autism, the brain throws a party when the child sees things out of his/her peripheral vision. If you hold an ice cream cone in the peripheral vision of a child with autism, the child’s brain activity will go haywire compared to if you held it in front of the child in his/her central vision. 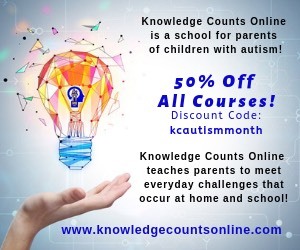 Studies focused on brain activity have shown the amount of high brain activity a neurotypical child has when seeing something in its central vision is the same amount of high brain activity a child with autism has when he/she sees something peripherally. Most parents long for engagement with their child. We constantly prompt the child’s face straight into central vision to look at us. Most children will turn their neck and face to look at you, but their eyes will wander in their peripheral vision. Why? It is not always because the child is avoiding eye contact, it is because the brain sees better peripherally than centrally. Your child is his or her own person: remember that. A child may have autism, but autism does not have him/her. 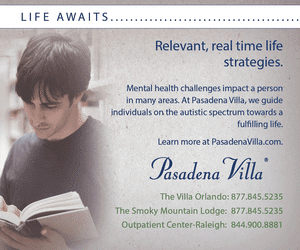 We are constantly taking children to therapies and to school. We are putting children into our world and our settings. However, if we want to truly connect or help, we have to enter their world. Watch them when they are alone. Watch which toy they are attracted to, what they play with, or what colors they always pick. See who your child is and use it as a gateway to engaging with him or her. Here is where the peripheral vision comes in. At two years old, most kids do not play with other kids: they play parallel or alongside. Take the information you found by watching your child. When your child is playing with a toy car, get a toy car, get in his peripheral vision, and mimic the exact same way he/she is currently playing with the toy. After a few seconds of mimicry, do your own playing with the toy car, but add drama. 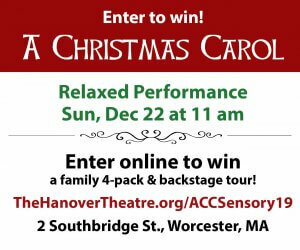 Use the sensitive sensory system of child with autism to your advantage. Make loud car noises, make the car crash, do flips, or even let the car talk to you. Every child gets curious. The child’s brain will start to throw a party, and like every child, he or she will want the toy car you have. At some point, the child will break the barrier between parallel play, engage in your world, and put you into his/her central vision. At this point, he/she will enter your world and you will have entered the child’s world. When the child wants the toy and you have begun to play together, add in an applied behavior analysis (ABA) lesson while playing. Before the child can play with your toy car, have him/her put the car inside of a cup, on top of a cup, or on the side of a cup. Draw outlines of shapes with tape on the floor and have the child trace the outlines with car or put the car inside of the square/circle/rectangle. Throw the car into water and make a “big” splash or a “small” splash. The child gets what he/she wants and you get what you want. If the child tries to take your toy car and leave, redirect him/her in front of you. Remember not to forget to enjoy who your child is as you work to provide therapies and carry daily stress. How do we fix this central vision issue? We don’t. Like anything else in life, we make weaknesses stronger. What you may not realize is that you are strengthening the central vision. When the child enters your world and brings you into his/her central vision, the child has chosen to use central vision. When he/she begins to play with you and you introduce the ABA lesson, you are strengthening the central vision—we are just using the peripheral vision, which is the strength, as a gateway to his/her weakness. The most important and effective part about these steps is that the child is choosing to play and learn versus being forced. The child feels as if you are his/her equal instead of feeling inferior. This makes the child more prone to getting something out of the teaching, and it’s fun! Maria Rohan is a Registered Nurse at Rainbow Babies and Children’s Hospital in Cleveland, Ohio. Outside of the nursing field, Maria has dedicated her life to working with children with disabilities, trying to give the most opportunity possible. Having worked with children with autism for 10 years and having the autism diagnosis in her family, Maria writes interactive workbooks for children with this condition. She molds each workbook to their musical voice pattern, their attention span, and their likes. She currently sits on the PTO of STEPS Center for Excellence in Autism and continues to let her love for the children plant seeds of movement. 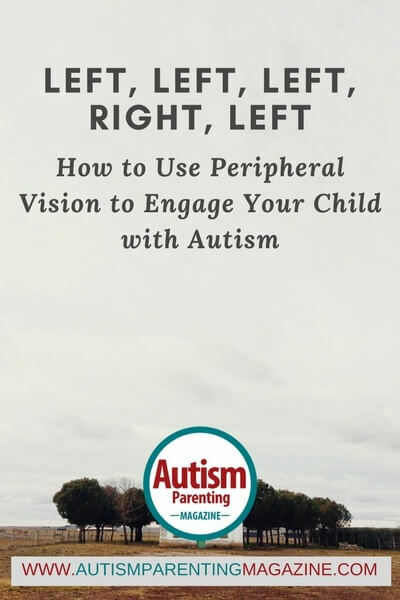 I was impressed with Maria Rohan’s article on “engaging your child with peripheral vision.” It was very helpful. 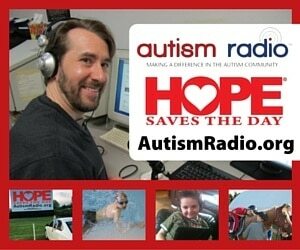 I am a clinician who works with children with autism and adhd, etc. Since I do not know who will see this post, I decline to say more, but is there a way I can contact her? Thanks Maria for writing this article. Its very informative and touchy. You have pointed very appropriately that you have to come to the child level and enters his/ her world rather than trying to make him follow your rules. Other line, I was most impressed was you have autism, not other way round. Thank you Dr. Jain for the kind words. We’re glad you liked the article. 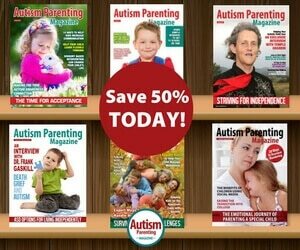 Feel free to check our other articles posted here: https://www.autismparentingmagazine.com/autism-article/ Have a great day!